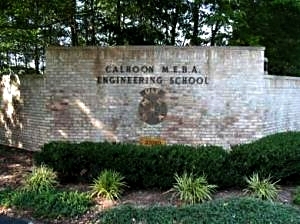 The Calhoon MEBA Engineering School (CMES) primarily serves the training needs of members belonging to the Marine Engineers’ Beneficial Association (MEBA); whom are principally employed on vessels registered and operated under the authority, regulations, and laws of the United States. However, CMES welcomes persons from other industries, government, and/or military organizations that seek education and training in topics and skills related to marine transportation, power generation and management, process control, shipboard security, and emergency response. While most courses relate to competencies defined by the International Maritime Organization (IMO) Standards of Training and Watch-keeping (STCW) and are, hence, approved by the United States Coast Guard; CMES works to merge with other industry-recognized certification programs. These certificate programs are associated with: the International Society of Automation (ISA), North American Technician Excellence (NATE), National Association of Corrosion Engineers (NACE), the Environmental Protection Agency (EPA), the Military Sea-lift Command (MSC), American Welding Society (AWS), Det Norske Veritas (DNV), and the International Association for Continuing Education and Training (IACET). Please take time to peruse our web-site to gather a complete picture of the scope and depth of our school. In addition to courses that cover a wide spectrum of technologies to advance the maritime community, CMES can offer on-campus accommodations in its 117-room/680 acre waterfront hotel, award winning dining room, and relaxing lounge.